Enjoy close-in convenience and all the benefits of new construction, but without Homeowner Assoc. restrictions & fees. Newly finished and move-in ready with plenty of room for play, gardening and maybe even a chicken coop! 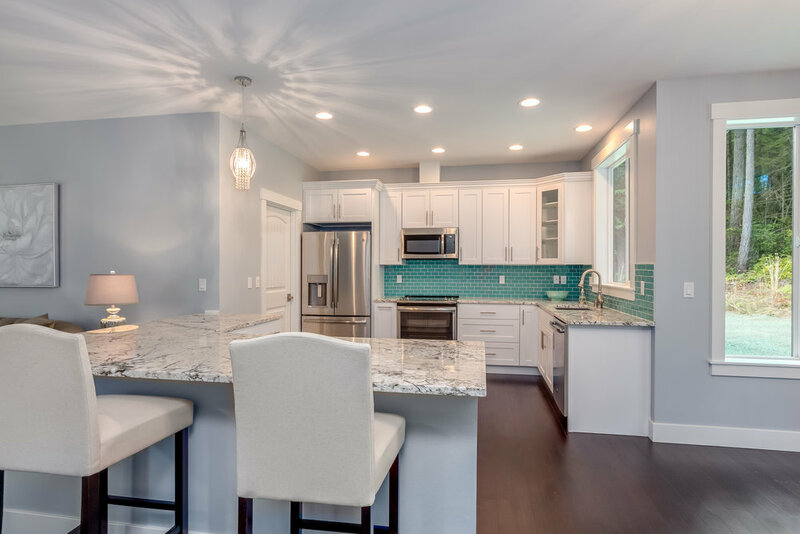 Stylish touches like slab granite & marble counters, subway tile and designer lighting, with bamboo floors, brushed stainless hardware, extensive trim detail, stainless GE appliances, efficient forced air/heat pump system, as well as garage 240V wiring for electric vehicle.